Your wedding invitation has arrive! Now you need to decide what to wear, where to stay, what to buy the bride to be? As one of the lucky ladies or gents invited to witness the union of two of your favourite people, a wedding gift for the bride is an absolute must. 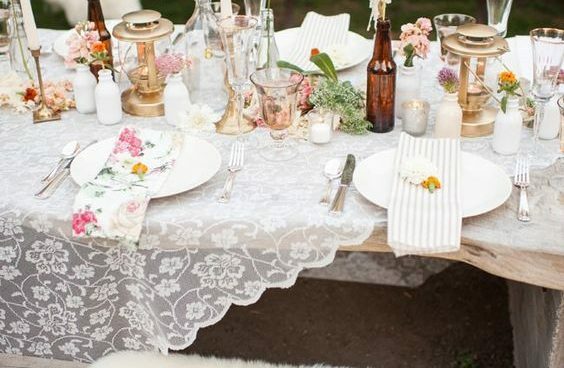 Get in her good books early and shop for gifts for the bride on her wedding day. With our unique range of personalised wedding gifts, finding an affordable gift that has a real and thoughtful message has never been easier. 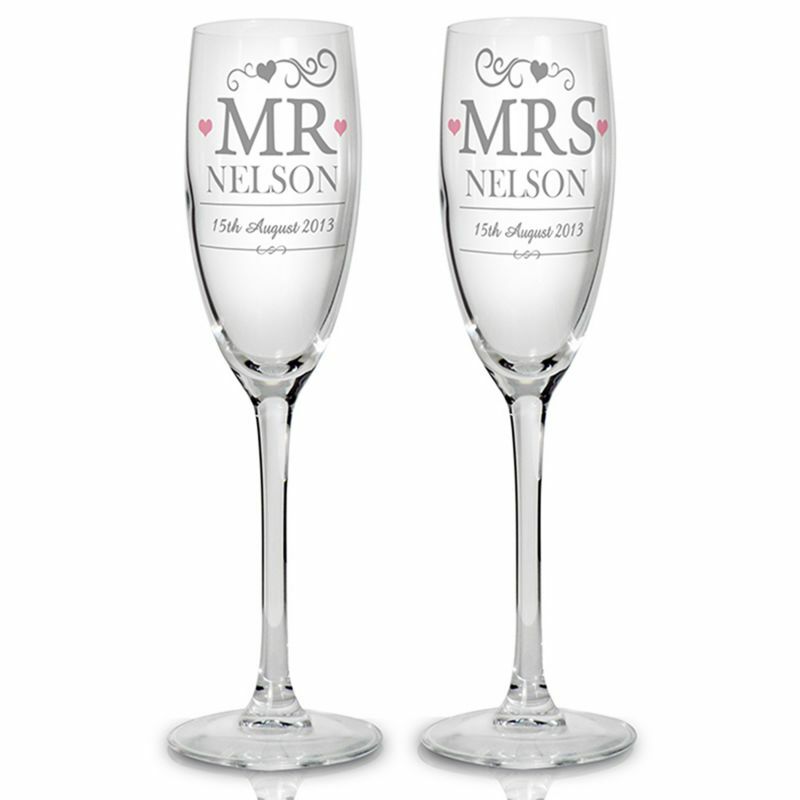 This beautiful pair of Mr and Mrs champagne flutes can be personalised with a surname of up to 15 characters and a date up to 20 characters.The glasses are a perfect sweet touch that we know the bride will just LOVE! Pop the cork and make this bottle of French Champagne one to remember! Personalise the bottle label with the surname of the happily couple for a truly beautiful and unique gift. 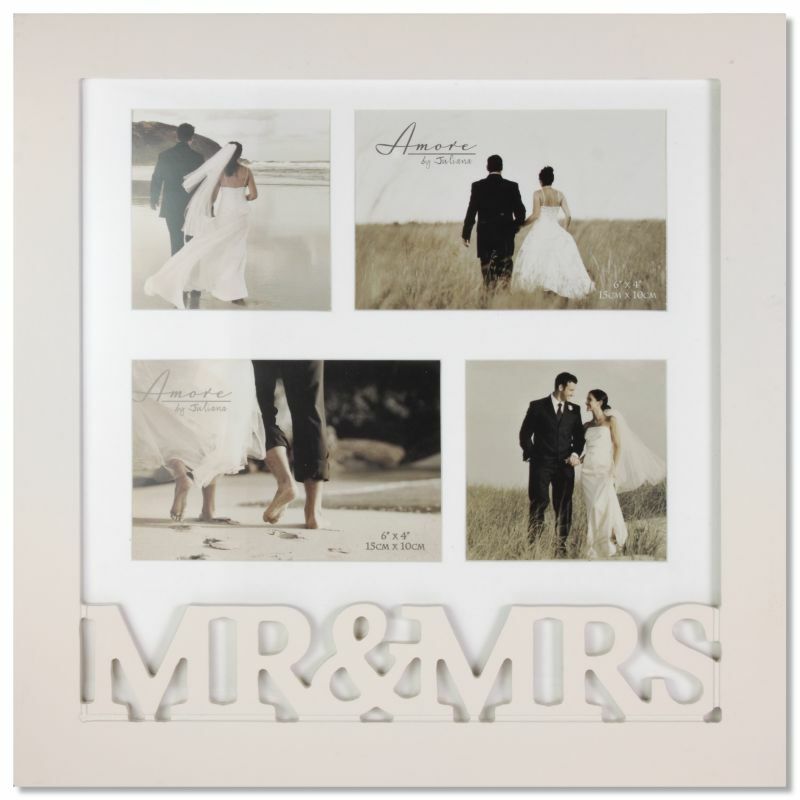 This photo frame features the word “Mr & Mrs” in 3D letters and is made from wood. Beautifully painted white this frame holds four photos and is the perfect momento of such a special day. 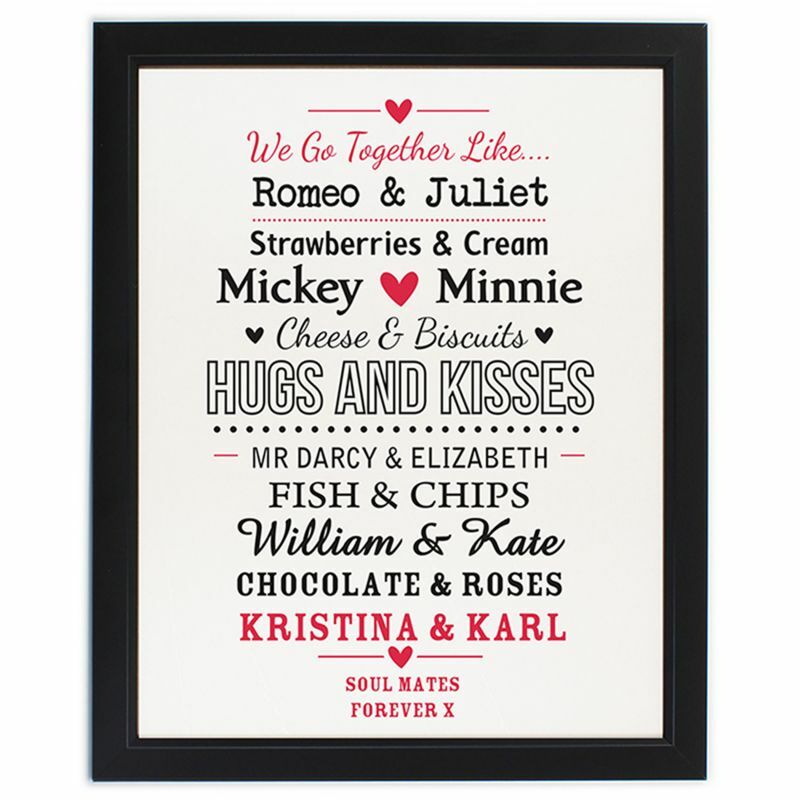 Couple Black Poster Frame For the couple who have everything, this sweet couples print is a lovely addition to the martial home. This will take pride of place in their home! 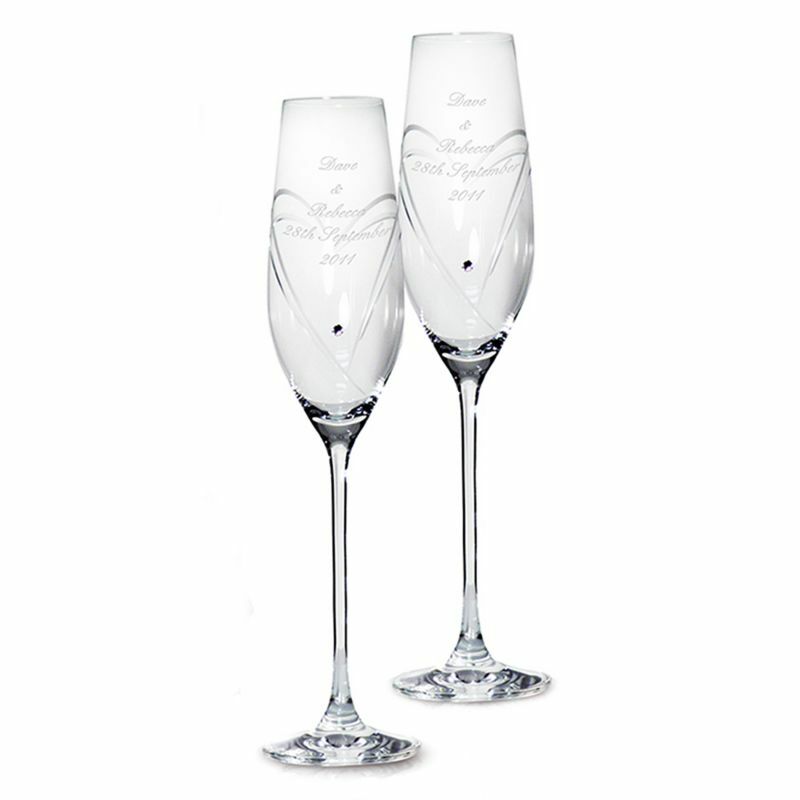 How beautiful are these stunning hand cut crystal flutes?! 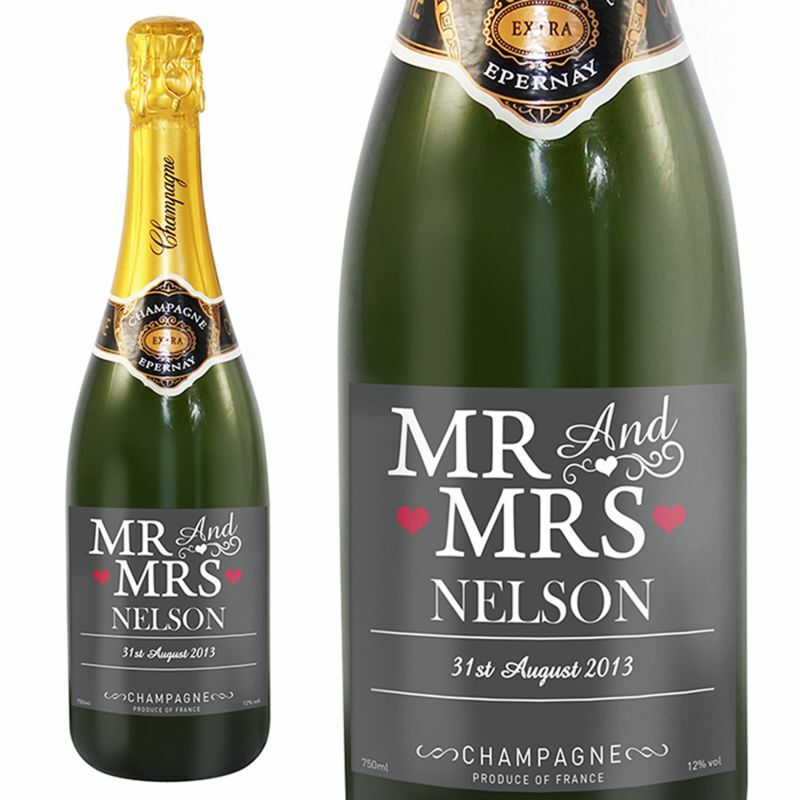 Personalise with the couples names, their wedding date or a celebratory message. The choice is up to you!